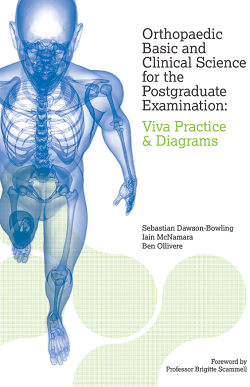 Orthopaedic Basic and Clinical Science for the Postgraduate Examination: Viva Practice and Diagrams. I recently had the pleasure of producing diagrams for an exciting new orthopaedic examination book. I am now delighted to announce the official launch of: “Orthopaedic Basic and Clinical Science for the Postgraduate Examination: Viva Practice and Diagrams”. This brand new book covers the entire scope of postgraduate orthopaedic viva voce examination topics and features numerous radiographs and easily reproducible diagrams. It covers over 500 questions and matching answers and is an excellent companion for anyone preparing for the FRCS (Tr&Orth) exam. To order your copy and for more information on orthopaedic research please visit the Orthopaedic Research UK website. This entry was posted in Uncategorized on 2015/03/19 by marysia.